Freedom introduces you to the countries leading kite stores. Next time you’re chasing a certain product, need an expert opinion or want to demo the latest and greatest gear look no further. 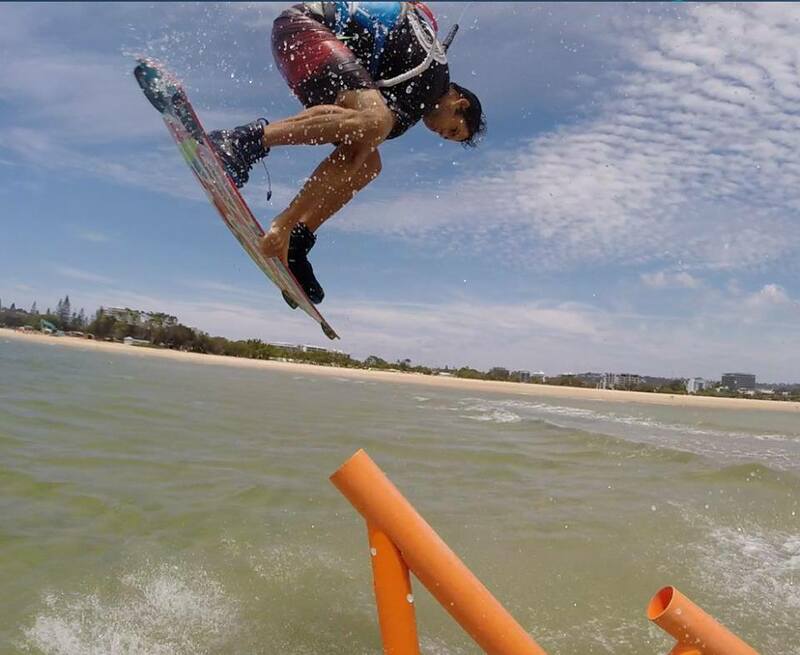 We recently caught up with the guys at Sunshine Coast Kitesurfing at Cotton Tree on the Sunshine Coast. 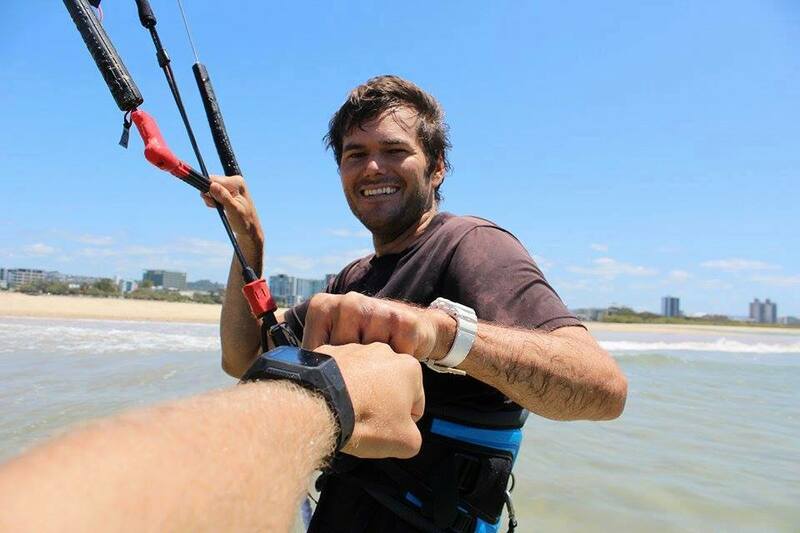 Sunshine Coast Kitesurfing defines “perfect location”, right in the Cotton Tree corner at the Maroochydore River Mouth – one of the best kiting locations in the country whether you’re a wave/wake/free ride nut. Sunshine Coast Kitesurfing evolved out of owner Jonno’s popular Mojo’s cafe. Kiter’s would drop by to grab a bite, down a healthy smoothie and paw through kite mags discussing the latest gear, weather forecasts, epic sessions. Jonno finally realized that this was the perfect base for a kite store and as they say, the rest is history! FKM: Tell us about your shop. SCKC: Our shop is the first and only shop located in Cotton Tree on the Maroochy River of the Sunshine Coast. For Kiting we specialize in AIRUSH and BEST. For SUP we specialize in Starboard, Ocean and Earth. 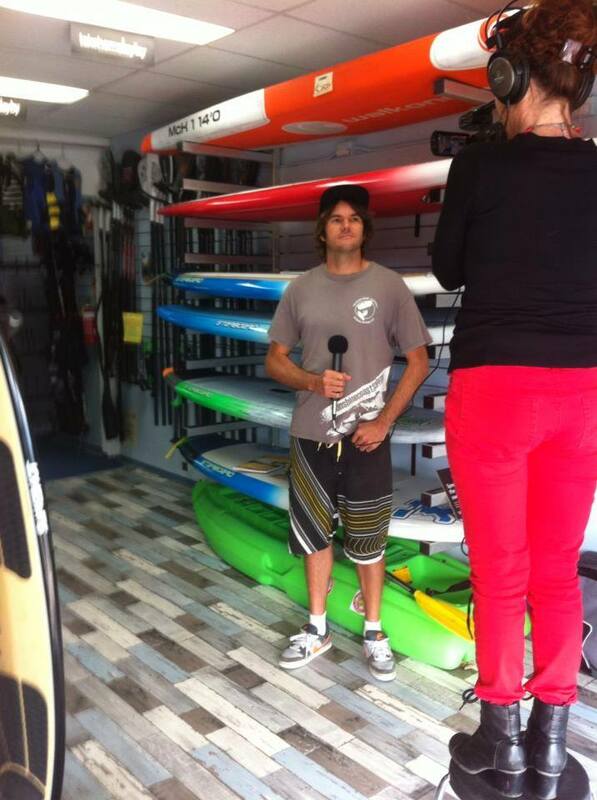 Jarrett Stock (shop rep) chatting to the local news team. FKM: What do you feel is special about your shop? The river mouth right out front offers wold class flat water kiting. FKM: Whats selling well this season so far? Any super specials you have going on? The beach right out front. Perfect for Supping and Kiting all year round. FKM: Tell us about your lessons? SCKC: Our main selling lesson package is the passport to ride, 6 hours of instruction for $400, one on one with an instructor. Many schools will sell you the same package at a higher price and put you into a group lesson, we feel that the student should have as much time on the kite as possible, making progression much faster. We also do a VIP program which I mentioned earlier, you can save $400-$600 dollars on lessons if you buy a full kite set up, then we can teach you one on one and fully be there for all your kite progression needs, on your equipment, we teach 7 days a week and work around your availability. FKM: Who are your shop representatives on the beach? SCKC: Our shop riders for AIRUSH are Jarrett Stock and Tristan Payne. Both ride the new 2016 AIRUSH Razor for maximum pop and slack while doing unhooked wake tricks. Mason Bell rides the BEST TS, a similar kite but more of a hybrid C and all round freestyle kite. Robert Flood and Jonno ride the AIRUSH Wave and are big in the downwinder scene, especially the Kawana to Caloundra run! Come meet them any afternoon when its windy at S Bends in Kawana and they will be there ready for a session. 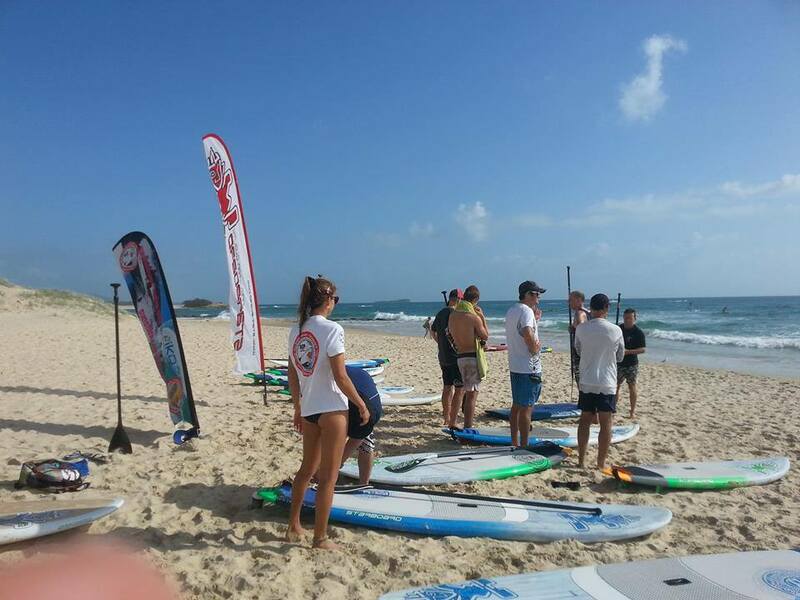 Feel free to come up to us anytime on the beach and ask about lessons, equipment, demoing kites or SUPs, we are very friendly and there to help the Sunshine Coast kitesurfing community.